This is my contribution to the Classic Movie History Project Blogathon. The CMHP Blogathon will be running over the next three days, and the idea behind it is that each participant will take a year in classic movie history and post something in relation to that year. 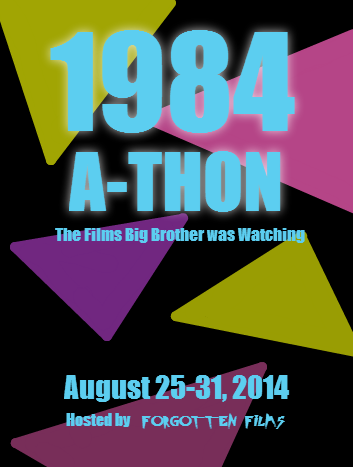 The blogathon is being co-hosted by Movies Silently, Silver Screenings, and Once Upon a Screen. For more information on the blogathon, links to all of the articles, and lots of great reading be sure to click on the links above (or the image on the right) and check out all of the great posts. The year 1920 was definitely a significant one, not only for Hollywood, but for the entire world of film. It was the year that many people who would go on to become highly influential and significant throughout the world of cinema both in front of and behind the camera were born. People such as Federico Fellini, Eric Rohmer, Toshiro Mifune, Mickey Rooney, Montgomery Clift, Gene Tierney, and Viveca Lindfors. It was the year in which “America’s Sweetheart” Mary Pickford was accused of and prosecuted for bigamy because of her marriage to Douglas Fairbanks, It was the year Charlie Chaplin got divorced from his wife and gained full possession of the rights to his great film The Kid. 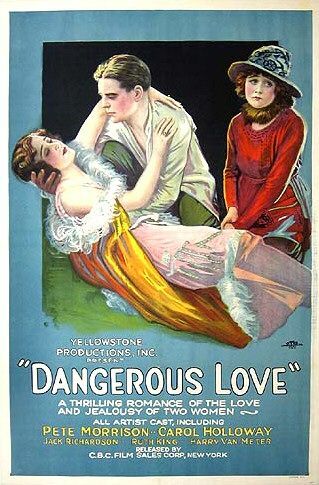 It was the year D.W. Griffith lost Lillian Gish as a contract player. It was the year of director Maurice Tourneur’s return to America. And it was the year of the release of three very special silent films. 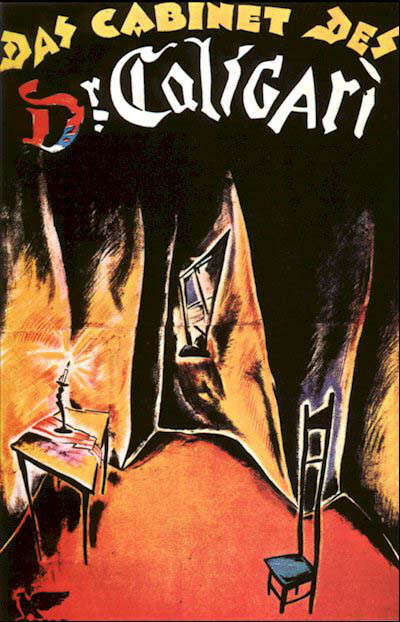 1920 was a year when Expressionism was taking hold in Germany, and nowhere is this more evident that in Robert Wiene’s film Das Cabinet des Dr. Caligari, or, to use its English title, The Cabinet of Dr. Calgari. Caligari is a very strange tale, told in a very strange way. If you’re not familiar with the German Expressionist style, it can, at first, be very off-putting, as it has a strong emphasis on shadows, light, and odd angles. It is a style, however, that is very appropriate to the often nightmare-like tone that Wiene was trying to achieve here, and if given a chance is not only evocative and appropriate, but really makes the film a standout amongst its contemporaries. Also, in an odd development, (Slight Spoiler Alert) because of reported studio interference and insistence, it may very well be the first film with a twist ending about which I will say nothing more except that it is one whose echoes can be felt in much more modern and well-known films such as Psycho and Invasion of the Body Snatchers. 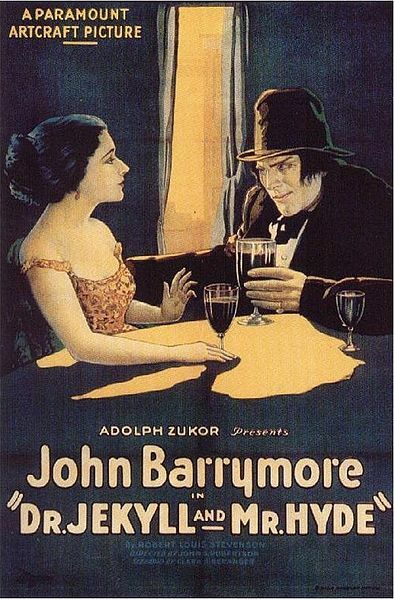 At the same time that Caligari was scaring European audiences, a very different horror film was making waves in the U.S., as John Barrymore was bringing to life Robert Louis Stevenson’s two most famous characters, Dr. Jekyll and Mr. Hyde. There have, of course, been many other film and television adaptations of this story, but Barrymore’s portrayal is truly one of the most iconic. The story of the good-natured doctor and his villainous alter-ego is well known, so I won’t go into it in much detail here, but I will say that the transformation scenes, especially considering the fact that so many of these effects were still being worked out are incredibly powerful. Not only do they take advantage of specialized makeup and prosthetics, along with the sort of superimposition and cutaways that would later transform Lon Chaney Jr. into the Wolf-man, there is also simply the superb acting of Barrymore himself who not only begins the changes with spectacular body and facial contortions, but also allows the character of Hyde, once the transformation is complete, to completely overcome him and turn his Hyde into a truly unique, menacing, and, yes, evil creature. Also, as in Caligari, we see in Jekyll and Hyde a very effective use of light and shadow, of darkness hiding and yet at the same time illuminating the difference between the two aspects of the central character. And again, this is something that I think is lost in a lot of ways once films converted not only to sound, but to color, because there was a special language that these films had worked out (or were still, at this point, working out) that once again added to the air of menace and even to the inevitability of the film’s denoument, and this is something that later film makers will definitely take advantage of once we get to the era of films noir. 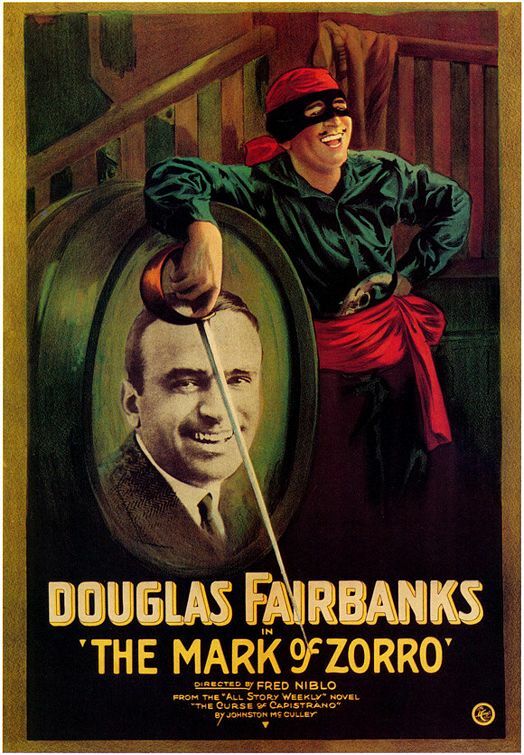 Of course, not everything was dark and scary in 1920, and that is reflected in the third film I’ve chosen to focus on from this year, the Douglas Fairbanks adventure film The Mark of Zorro. Zorro is much more in the vein of a light-hearted romp of the type Fairbanks would become known for throughout his career, and which would eventually reach it’s peak, at least as far as classic films go in my opinion, with the 1938 Technicolor showcase The Adventures of Robin Hood. One of the things which makes Zorro interesting, however in relation to both Caligari and Jekyll and Hyde, is that it is also a story which features darkness and light good and evil, and most especially masks and the question of identity. But it does it in its own swashbuckling fun style that really makes it a fun view, and in a way that has its echoes all the way down to contemporary favorites such as The Princess Bride. As you can see, Ive embedded full-length versions of all three of these films above. I’ll also note that thanks to the fact that all three are in the public domain, they are all available on DVD from various distributors and in varying quality, so if you do want to purchase them for your collection, be aware of what you are buying. Definitely of note, however is news that coincidentally was released this week that Kino Classics will be releasing Dr. Jekyll and Mr. Hyde in a newly restored Blu-ray edition that looks like it will be a beauty. 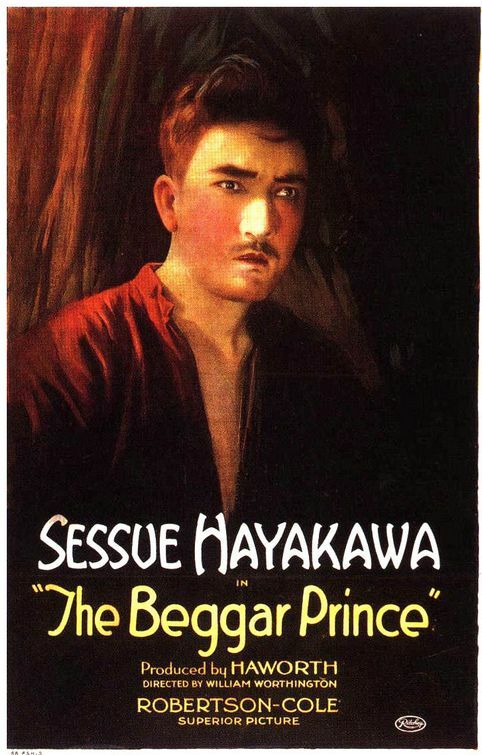 Finally for today, I thought I would leave you with a few posters showcasing other films that came out in 1920. I hope you’ve enjoyed this look back at a very special year in cinema history as much as I’ve enjoyed revisiting these films and writing about them. 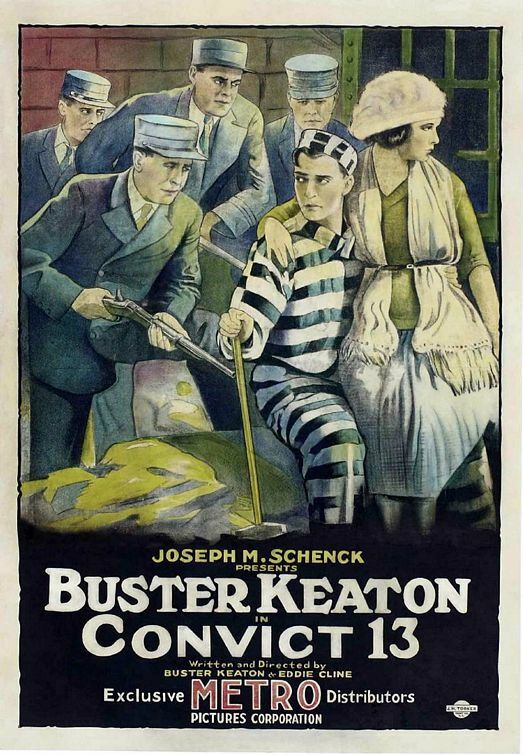 Site Info: I’ll Be Participating In the Classic Movie History Project Blogathon. Yay! Most movie blogathons center around actors, topics, genres or eras of film. This event is going to focus on individual years. Our range is 1915 to 1950. Participants will each focus on one individual year in the history of film. The event will be held January 12-14, 2014. This one looks like its going to be a lot of fun. Rather than pick a year myself, I asked Fritzi to just assign me a year, and the one she gave me was 1920 which is chock full of true classics of the silent era: The Cabinet of Dr. Caligari, The Golem, Dr. Jekyll and Mr. Hyde, Way Down East, The Mark of Zorro, Outside the Law, The Son of Tarzan, and lots more. 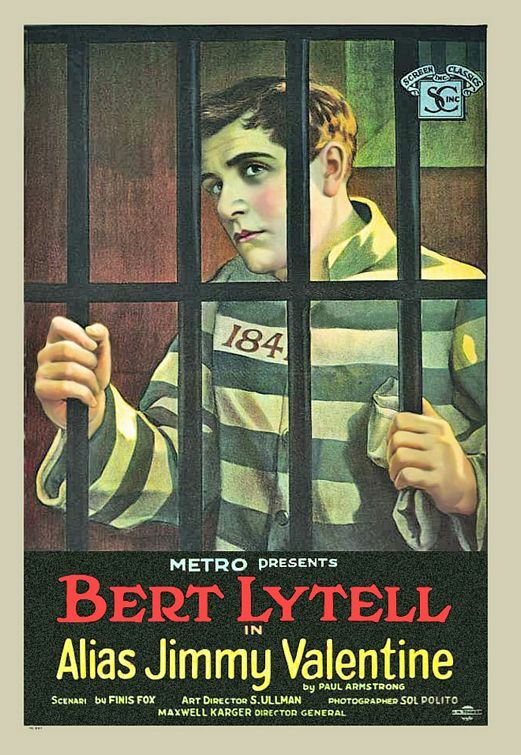 I haven’t decided yet exactly how I’m going to approach this, but I do know that I’m in for lots of fun silent film watching between now and the new year. 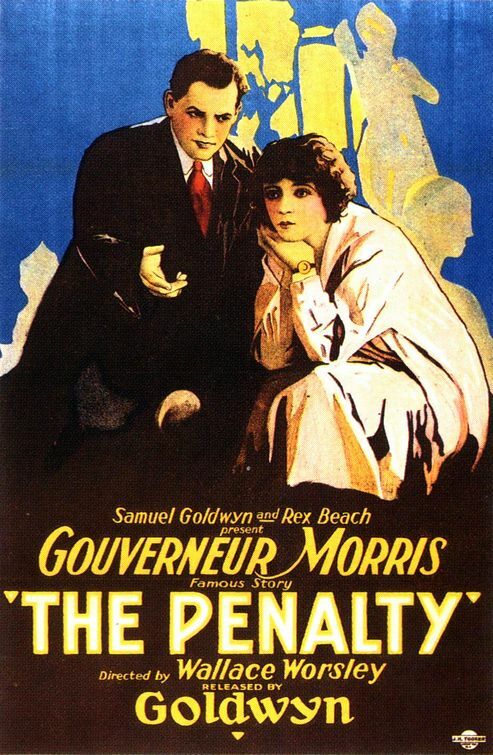 Oh, and if you have any suggestions for not-to-be-missed films from 1920 or other things that I might want to look for or think about, I’d love to see your suggestions in the comments below. And of course, I’ll be giving you more details, and a link to the list of all the participating blogs, as the dates get closer. This post is part of the Hammer Halloween Blogathon hosted by the Classic Film & TV Café. Go to www.classicfilmtvcafe.com to view the complete blogathon schedule. Y’know, you’ve kinda gotta think once you get down to the struggles of Lorimer Van Helsing versus Dracula you might be scraping the bottom of the barrel. I mean, seriously, Lorimer? Who names their kid Lorimer? Okay, considering we’re talking about a family of vampire hunters who have passed this legacy down through the ages, perhaps picking on him because of his name isn’t exactly fair, but there you go. And, in a lot of ways, 1973’s The Satanic Rites of Dracula is a very long stretch from where Hammer’s Dracula movies started. Yet, it also does fit into the ongoing series that Hammer had been developing over the years. Starting with their own take on the classic story, Hammer’s series began with 1958’s Dracula (also known under its U.S. release title of Horror of Dracula). 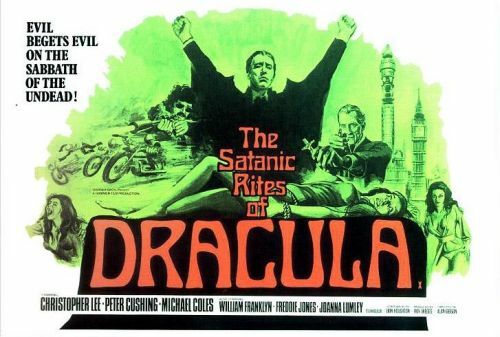 Over the years, the studio had moved its films through different ages, changing their take as the times changed, until the previous year in which they released Dracula A.D. 1972 which personally I consider the series low point, bringing the vampire lord into contact with a group of Satan worshiping hippies. So finally we get to the eighth of Hammer’s Dracula films, the seventh to star Christopher Lee as the titular character, and the third to actually pair Peter Cushing with Lee. This time out we find Dracula consorting with another coven of Satan worshipers, but these characters are much more serious about it, actually incorporating human sacrifice (and resurrection) into their practices, and also calling upon the power of the devil to enhance their earthly wealth and power. Among these coven members is a bacteriologist who is working on a new, incredibly virulent strain of the bubonic plague which Dracula, now masquerading as businessman D. D. Denham, wants to unleash upon mankind for the purpose of… well, honestly, the reason for this is never really explained, at least not in any coherent fashion, except for some general mumbo-jumbo about revenge upon mankind and perhaps a death wish of his own. This, of course, is where the spies come in. Did I mention yet that there were spies? Oh, yeah, there are spies, as Britain’s Secret Service has apparently been trying to trace and track down the coven members / conspirators and figure out exactly who is involved and what they are up to. The movie actually starts with their inside man barely escaping from the country house where the rituals are taking place and managing to alert his superiors to the ongoing plot. That’s when they decide to call upon Lorimer to help them figure out exactly what is going on. It would, perhaps, have been better if he had been consulted on exactly what kind of movie the creators were trying to make, or to help the writers figure out a slightly more coherent plot. As it is, what we, as viewers, actually get is kind of a mish-mash movie that is never really sure whether it is a spy flick or an actual horror show. 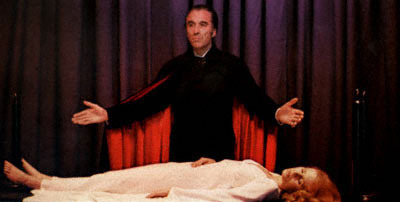 As a matter of fact, there are times throughout this movie where it seems as if Lee’s character of Denham could actually have been simply any corrupt businessman, and that he really only turns out to be Dracula so that Hammer could tie the film in to its ongoing franchise, and in a way, this is also an indication of where Hammer itself was at the time, as it was in a struggle to maintain its own identity as a studio and still find a way to appeal to an audience that was demanding a different style of movie than what they had been producing. Fortunately, we do finally get a confrontation at the end between Lee and Cushing, and it is this pairing, as always, that saves the film from being the losing effort to update the series that was its predecessor, and actually makes it worthwhile viewing. In the end, it seems strange to be criticizing Hammer, a studio with a reputation earlier for its buxom women and liberal use of blood and lurid colors for not being over-the-top enough with this film, but it really feels like they were feeling the strain between trying to serve two masters or perhaps two audiences, and thereby never really satisfying either. Nonetheless, the movie can’t be considered a true failure as it turns out to be one of those “guilty pleasure” flicks that I’ve actually turned to a number of times over the years as simply a good way to pass an hour and a half or so. And really, sometimes, that’s all that one can ask for. And, for those interested, the entire film is available on YouTube, and I’m sure it can be found streaming elsewhere. Also, if you’re a Hammer Horror fan you’ll definitely want to check out the other postings for the blogathon. For the complete schedule of all of the blogs and the films being covered, just click here. Some of you may have noticed a couple of new images in the sidebar to the left. Both of them are promotional images for blogathons I’ll be participating in during October and November. 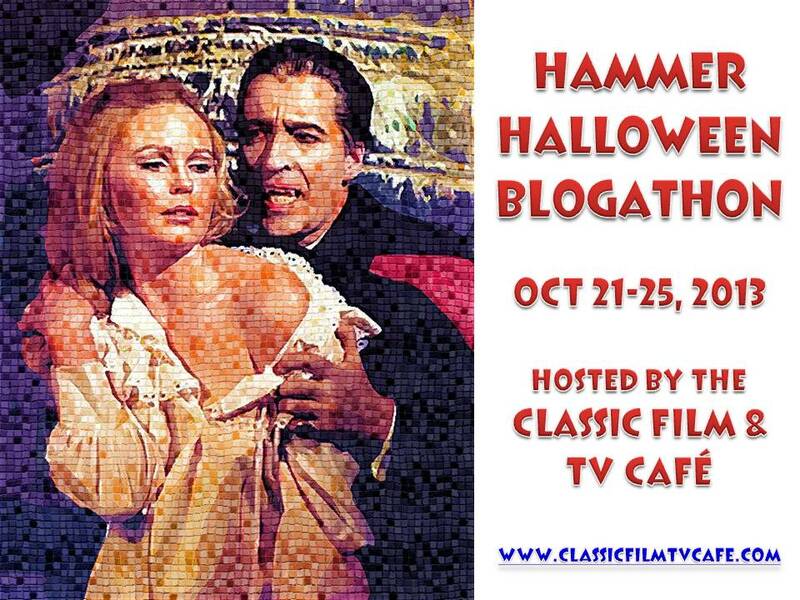 The first one is the Hammer Halloween Blogathon which is being hosted by the Classic Film and TV Cafe. That one will run October 21-25 and “will consist of blog posts about the classic horror, science fiction, and suspense films made by Britain’s Hammer Films Productions.” I’ll be writing about Hammer’s not-exactly-classic 1973 film The Satanic Rites of Dracula and that post will appear on Tuesday, October 22. 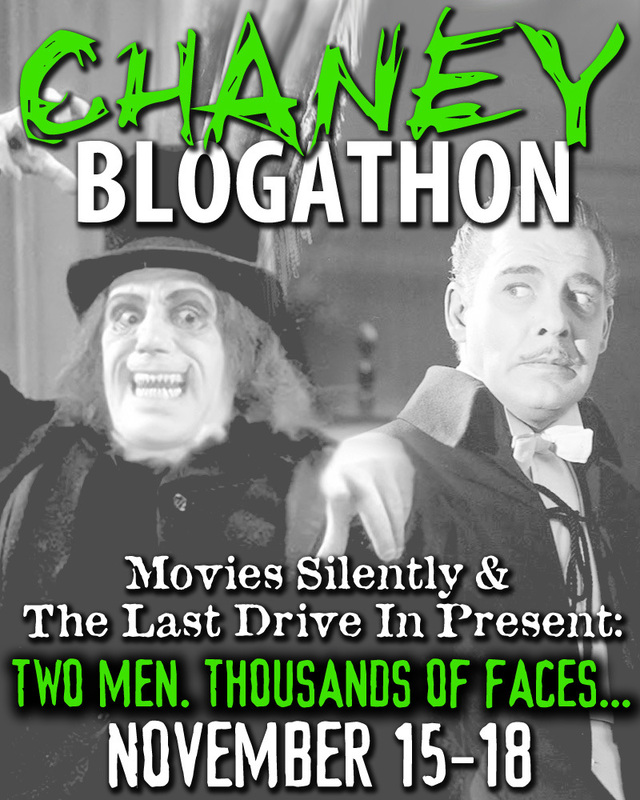 The second upcoming blogathon I’ll be taking part in is the Chaney Blogathon, which is being co-hosted by Movies, Silently and The Last Drive-In. This one will be celebrating the careers of both Lon Chaney Sr. and Lon Chaney Jr. That time around, I’ll be focusing on Unviversal’s 1943 monster mash-up Frankenstein Meets the Wolf Man. That post will be appearing here on November 16. I’m definitely looking forward to participating in both blogathons and want to take this chance to publicly thank all of the hosts for organizing and hosting them. For more info on both of these blogathons just click on the images in this post, or the ones in the sidebar. This is the second of two entries on Abbott and Costello that I’m doing for this weekend’s “Dynamic Duos in Classic Film” Blogathon which is being co-hosted by Once Upon a Screen and the Classic Movie Hub Blog. The first part can be found here. And if you like these, be sure to click the links above and check out some of the other great duos that folks are writing about. So yesterday I wrote about all the different characters that Abbott and Costello (or at least their various onscreen incarnations) “Met” during their film careers. Today I want to take things in a somewhat different direction, and look at some of the comedy-mystery films the pair made. It’s really not that surprising that the boys would wind up playing either newly-minted or wannabee detectives a number of times throughout their careers. 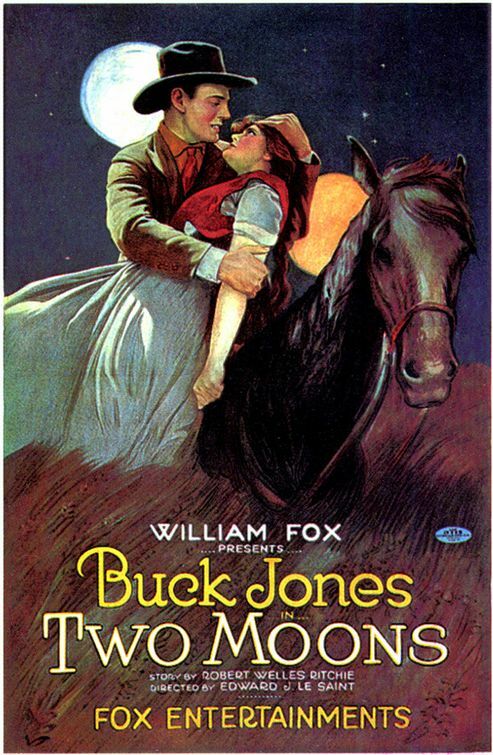 After all, the mixture of the comedy and mystery genres was a staple of Hollywood pictures at the times, as was what is known as the Old Dark House mystery. You know the type I mean – where a certain number of people are brought together for some sort of purpose (most often the reading of a will), are somehow cut off from the outside world, and murder and mayhem ensue. Plus, let’s face it, there’s just something appealing about getting to play detective, and since Bud and Lou were in so many ways getting to fulfill their various childhood fantasies, why shouldn’t they get a chance to do just that? 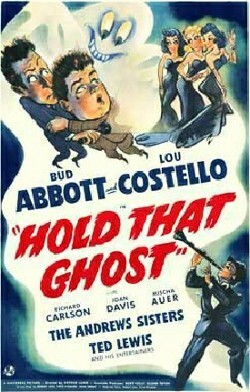 The first mystery-comedy that Bud and Lou found themselves involved in was 1941’s Hold That Ghost. In this one, we find the duo playing a pair of gas station attendants who have dreams of rubbing elbows with high society by getting jobs as waiters at a high-class restaurant called Chez Glamour. However, when they do finally get their chance, they quickly wind up making a mess of things and find themselves fired and back at the gas station. That’s when gangster Moose Matson shows up. Matson is on the lam from the police, and through a series of contrivances, Moose is killed, and Bud and Lou wind up inheriting his tavern, known as the Forrester’s Club. All of the above is really just set-up, though, and it’s only once the pair arrive at the club that we realize that what we are actually in store for is one of the aforementioned Old Dark House mysteries. As a matter of fact, in a lot of ways, the first part of the movie seems largely filler, with the nightclub scenes especially there simply to add a musical number – performed by The Andrews Sisters, which, filler or not is definitely a treat – to the movie. Of course, this really isn’t too surprising, given the pair’s vaudeville/variety show roots, which are extremely evident throughout their careers, but especially in their earliest pictures. Nonetheless, taken as a whole, the movie is very entertaining, and we even get a variation on the moving candle routine which will again be featured in Abbott and Costello Meet Frankenstein. 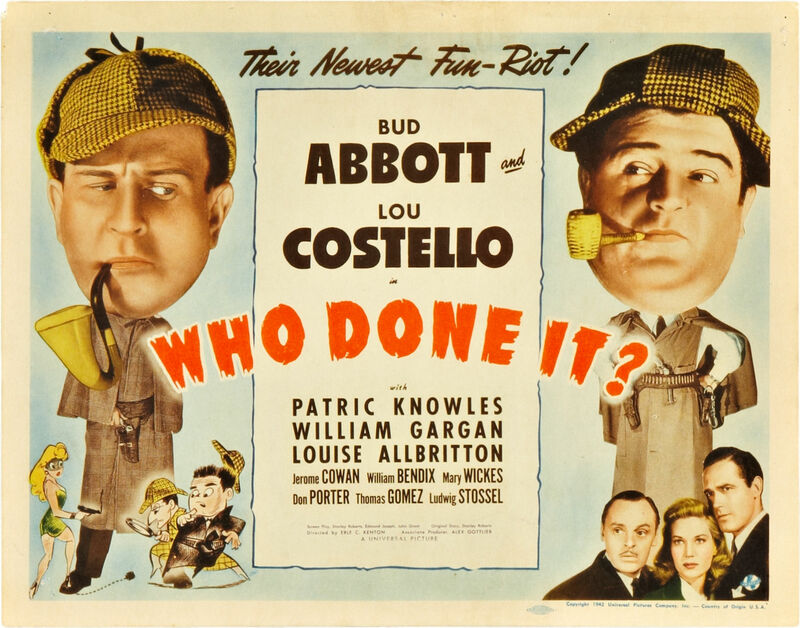 Abbott and Costello quickly followed that one up the next year with a movie that is, perhaps not surprisingly for those who know of my love for Old Time Radio, one of my all-time favorites, 1942’s Who Done It? This film again finds the boys starting out as working stiffs longing for better jobs. In this case, they are working the soda counter in a building that also houses a radio station, and they want to be writers on one of the stations mystery shows. When they get a chance to watch one of the radio shows while it is being broadcast, the president of the radio network, who is making a special introductory statement winds up dead behind the microphone. Sensing their opportunity, the duo pretend to be detectives, hoping that if they can solve the case it will lead to their big break. The radio station setting was obviously one that Abbott and Costello were familiar with, and the sound effects disks, microphones, and other props scattered throughout the station are used quite effectively to aid in the hijinx. Between that and the rooftop finale, this is really one of the best and most tightly scripted of all the duo’s outings. 1945 was not a good time for the team, as tensions were running high between Bud and Lou for various reasons, and they even split up and performed separately for awhile. Fortunately for us, they managed to work things out, but the tension still shows through in some of their output. One place where this is reflected is in the movie The Time of Their Lives which was actually not released until 1946. It’s an odd movie in that even though the pair seem to be sharing a lot of screen time, because – except for the opening set-up scenes – Costello is playing a ghost, he and Abbot didn’t actually have to do much filming together. Nonetheless, it does fit with today’s theme, since it does feature not only a seance, but a search through another old dark house for a mysterious disappeared letter. By 1948, the pair had not only worked out their differences, but had signed a new contract with Universal which allowed them to make one film per year with another company. That’s why at the beginning of The Noose Hangs High you’ll see a logo that says Eagle/Lion instead of Universal. Eagle/Lion was a separate production company that Bud and Lou had set up themselves, and they actually bought the script for The Noose Hangs High from Uni. This time we find Bud and Lou working for the Speedy Window Washing Service. Unfortunately, since the back of their uniforms simply says “Speedy Service”, they are mistaken for a pair of couriers from the Speedy Messenger Service. This case of mistaken identity causes them to run afoul of bookie Nick Craig, and eventually leads to them losing $50,000 of Craig’s money. To make matters worse, Craig actually owes the money to a mysterious Mr. MacBride, so Craig gives the boys 48 hours to find his money so that he can pay off his own debt in time. One thing that is very noticeable in this movie is the number of their older routines that the boys manage too work into this production. Whether that’s a result of the film coming from their own company instead of Universal I can’t say for sure, but it certainly seems likely. I wrote some about these last two yesterday, but they also meet the criterion for today’s post. That’s especially true about the first one, which was Universal was originally going to call Easy Does It, and then Abbott and Costello Meet the Killers. 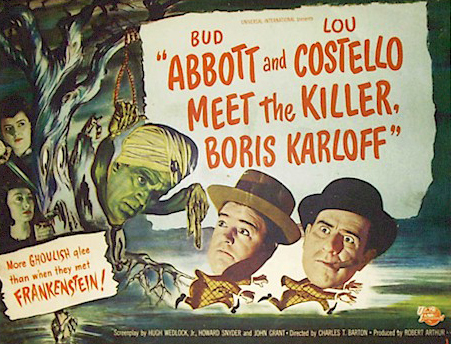 It was only due to the last minute signing of a major co-star that the title was changed to the somewhat awkward Abbott and Costello Meet the Killer, Boris Karloff. What makes the title even odder is that… well, maybe I shouldn’t say much more, since that might be considered a spoiler. Oh, and just to add to the point, the character played by Mr. Karloff was actually intended to be a female character named Madame Switzer. Anyway, whatever you choose to call it, the film definitely fits into the old dark house/detective model, except in this case the house is a hotel where Lou is a bellboy and Bud is the house detective. When Lou is implicated in a murder that occurs at the hotel, it falls to Bud to help him clear his name. This flick is one that is full of red herrings, and is actually quite a good entry into both the “meet” and the mystery lineups. Unfortunately, I haven’t been able to track down either an actual trailer or the full flick online, but here’s a quickcut video that will give you a good taste for it in about 30 seconds. Finally, here’s another film that is a crossover from yesterday’s post: Abbott and Costello Meet the Invisible Man (1951). By now it should be obvious that the mystery and comedy genres were a great mix during this era in Hollywood, and that Bud and Lou were great at making the most of the combination. Personally I think it’s a shame that we don’t see more of these types of films coming from the studios today. Of course, they also don’t really have the kind of comedic pairs to work with like they had with Abbott and Costello, so… Nonetheless, whatever the focus of today’s movies, we still have these movies to fall back on and watch again and again, and to fondly remind us why they really were one of classic film’s true Dynamic Duos. This is the first of two entries on Abbott and Costello that I’ll be doing for this weekend’s “Dynamic Duos in Classic Film” Blogathon which is being co-hosted by Once Upon a Screen and the Classic Movie Hub Blog. Come back tomorrow for part two, which will focus on the comedy-mystery movies that Abbott and Costello did together. And in the meantime, be sure to click the links above and check out some of the other great duos that folks are writing about. Let’s face it, it really was a “can’t miss” concept. At the time, Universal had the number one most popular comedy duo in Bud Abbott and Lou Costello. They also had the most popular line-up of movie monsters with Frankenstein, Dracula, and the Wolfman. So why not throw them all together into one movie and see what would happen? Well, the result is obvious. I’d hazard a guess that Abbot and Costello Meet Frankenstein has to be the most watched movie the duo ever made, and even today it probably remains the gateway for many people to discover not only the antics of Bud and Lou, but the fun of the Universal monsters. One of the reasons the movie works so well, of course, is that while Abbott and Costello are hilarious in the film, and it is full of their usual schtick, the monsters themselves are taken, well, perhaps not completely seriously, but they are certainly never played for outright laughs and are allowed to retain their air of menace throughout the film. Unfortunately, despite the popularity of the flick, it was pretty much the last go-round for the monsters. On the other hand, the boys would go on to make many more movies, and along the way would have many more “meetings” with popular literary and film characters. There’s a very short “tag” scene at the end of Abbott and Costello Meet Frankenstein where the boys are making their final escape in a rowboat. Thinking they’re finally alone and safe, they begin to relax, only to find themselves confronted by The Invisible Man, voiced at the time by Vincent Price. It would, however, take three years for that actual confrontation to take place in 1951’s Abbott and Costello Meet The Invisible Man. As you can see from the trailer, this is not Vincent Price in the title role, nor does this invisible man really have much connection to previous Universal incarnations, except through a couple of lines of dialogue concerning the invisibility serum’s inventor, and a photograph which shows Claude Raines, the star of the original Universal film. Instead, in this one, the invisible man is a boxer who is trying to hide from mobsters who want him to throw a fight, and the boys are detectives whose first case involves trying to track him down. The next meeting of the duo with a famous film character was actually not a Universal film. One interesting aspect of their contract at the time was that the boys were allowed to make one independent film per year, and in 1952, that film was Abbott and Costello Meet Captain Kidd. 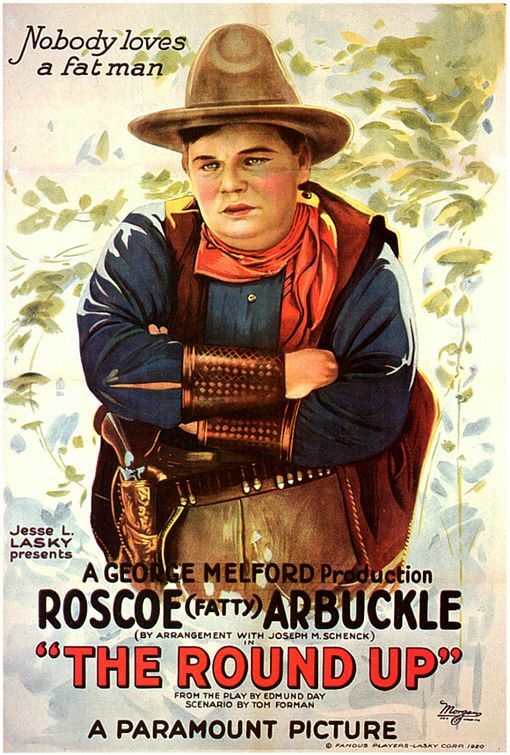 Interestingly, since the boys were financing the film themselves, they opted to shoot it in color, an expense that the studio would never have undertaken. They were also able to get Charles Laughton, who had portrayed the famous captain in 1945’s Captain Kidd to reprise the role. Up next? Well, apparently, Boris Karloff had a good enough time appearing with the boys as “The Killer” that he agreed to star again with them again as Dr. Jeckyll in Abbott and Costello Meet Dr. Jeckyll and Mr. Hyde.Unfortunately, this particular take on the character met with mixed reviews because Karloff actually portrays the “good” doctor as rather evil even when he’s not Hyde. The Keystone Kops were a slapstick troupe who, by 1955 had already lost most of their box office appeal, and are probably largely unknown now. 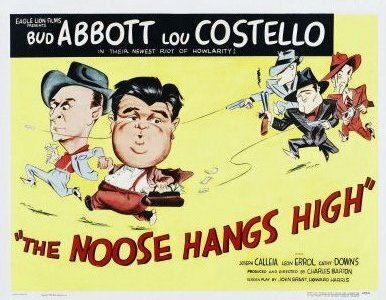 However, Bud and Lou apparently respected them enough that they not only wanted to “meet” them, but they fought with the studio to get their names in the title, so that the movie the studio originally wanted to call Abbott and Costello in The Stunt Men finally became Abbott and Costello Meet the Keystone Kops. 1955 also saw the last of the duo’s feature film “meetings” with Abbott and Costello Meet the Mummy. Not only was this Bud and Lou’s last meetup movie, it was also their last feature for Universal. The unofficial series did come to a close with a bang, however, as in a way it circled back to the beginning, with them confronting one of the classic Universal monsters in a movie that is personally another one of my favorites, as it again plays the monster straight and with respect despite the funny goings-on around him. As I mentioned, …Meet the Mummy was the last feature film meeting the duo had with the Universal monsters, but there was one more time that they met up with Universal’s famous horror icons. In 1953, along with the movies they were making, the boys were also appearing on the Colgate Comedy Hour, and one of the segments of that show has, unofficially at least, become known as Abbott and Costello Meet the Creature From the Black Lagoon. So, as you can easily see, whether Abbott and Costello Meet Frankenstein is the only film of the boys that you have seen, or one of many, or especially if you’ve never seen any of their films, there’s quite a variety of films that feature not only the great comedy duo, but also some great guest stars, and while they may not all have the iconic stature of the first, they all do what any good comedy film is supposed to, they bring the laughs. And really, what more can you ask for? Just to give you guys a heads up about something coming up down the road, I’m going to be participating in my first official Blogathon in July. For those who are unaware of the concept of the blogathon, basically, it’s a chance for a lot of different bloggers to share their writings on a particular topic or theme. 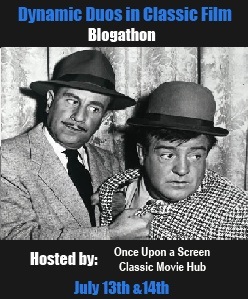 In this case, the theme is “Dynamic Duos in Classic Film” – you know, those great onscreen pairings where a lot of times 1+1, while still equaling two, can also add up to so much more.The blogathon is being hosted by Once Upon a Screen and The Classic Movie Hub Blog. So which “Dynamic Duo” have I chosen to write about? Well, you can probably take a pretty good guess just from looking at the pic at the right, or the one in the sidebar . Yep, it’s a pair that has been a favorite of mine since childhood, Abbott and Costello. I’ve actually signed up to do two posts for the blogathon, one looking at the various “meetings” the boys had (…Meet Frankenstein, …Meet the Mummy, etc) and the other focused more on some of the duo’s more mysterious comedies such as Hold That Ghost. I’m really looking forward to participating in this, and hope y’all will enjoy what I come up with for it. 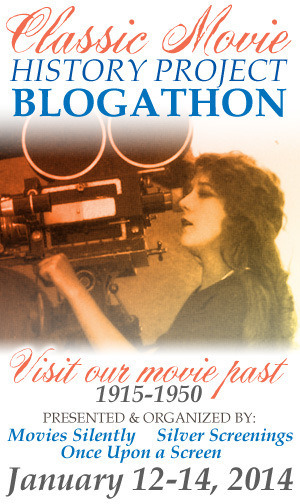 And if you want more info on the blogathon, including a full list of the participating blogs, you can find it in the link below or by clicking on the sidebar banner.